Members of the media look over the 2020 Ford Mustang Shelby GT500 after it was revealed at the North American International Auto Show in Detroit, Michigan, January 14, 2019. The Ford Mustang Shelby GT500 is the latest version of the legendary track-focused pony car. 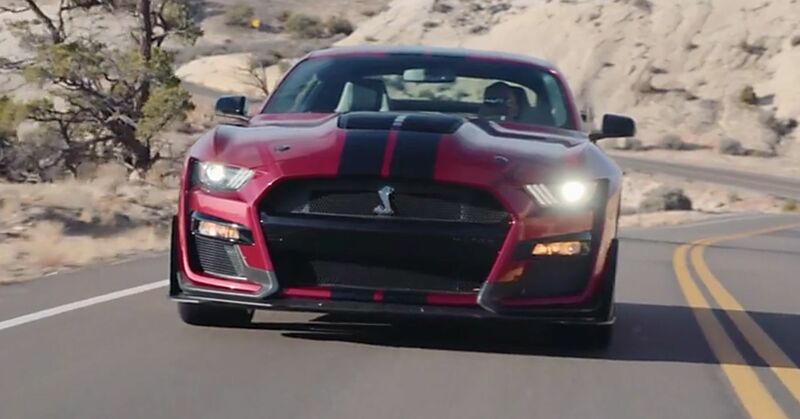 The GT500 borrows elements from Ford's GT super car and the racing-tuned Mustang GT4. Ford says it is the quickest street legal Mustang in history. Ford's new Mustang GT Shelby 500 is a 700-horsepower monster Ford says is the quickest street-legal Mustang in history. 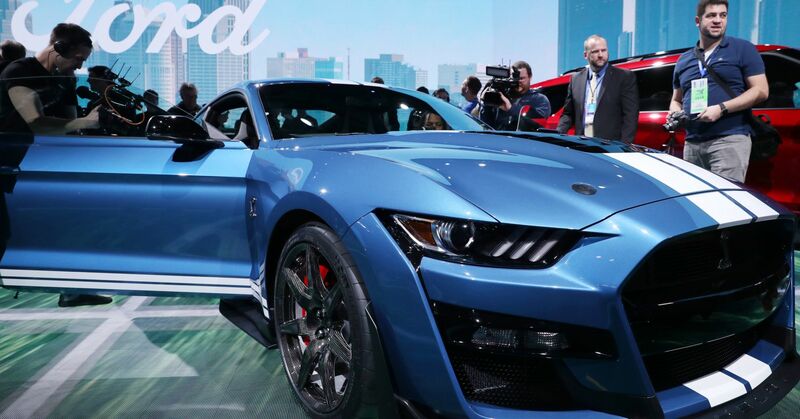 The latest iteration of Ford's Shelby GT variant of the iconic Mustang pony car inherits the name of racer and engineer Carroll Shelby, who worked with Ford to design the first GT500 in 1967 — a car that now is considered a legend among American muscle cars. The new version, which debuted at the Detroit auto show on Monday, goes from 0 to 60 miles per hour in the "mid-3 second" range, Ford said. It borrows technology from Ford's GT super car and the race-tuned Mustang GT4. It still has a lot of the creature comforts of a conventional car though, including a B&O sound system, power adjustable seats with optional suede fabric and SiriusXM radio. This is no family car, however. There is no rear seat, to reduce weight in the vehicle. Ford Executive Vice President Jim Farley said he thought Carroll Shelby, who died in 2012, would love this Mustang more than any other. The car is a big statement by a company that less than a year ago said it plans to all but stop selling cars in North America entirely over the next few years. If Ford follows through on those plans, the Mustang would be the last traditional passenger car in its lineup. The GT500's massive 700-horsepower engine is perhaps meant to rival that of the 707-horsepower Dodge Challenger Hellcat, which has created lots of buzz for Dodge and Fiat Chrysler overall. The GT500 is not meant to be a high-volume car, but it could prove quite valuable as a "halo" vehicle meant to draw buzz around the brand, said IHS Markit analyst Stephanie Brinley. "The GT500 is essentially a street-to-track car for the Mustang, not entirely unlike the Challenger and Charger Hellcats," she said. "So it is low volume, but big excitement. ... It is clearly important to get people excited about your brand and about your vehicles in general, whether they buy a utility vehicle, a sedan, or a sports car. It does help to make a statement, as long as it fits with the brand."